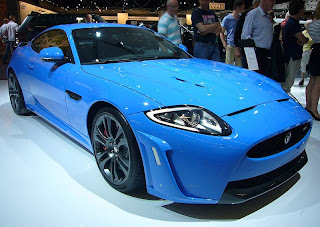 Jaguar was de-merged from British Leyland and was listed on the London Stock Exchange in 1984, becoming a constituent of the FTSE 100 Indexuntil it was acquired by Ford in 1990. 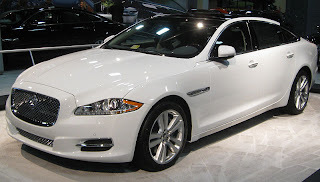 Jaguar has, in recent years, manufactured cars for the British Prime Minister, the most recent deliverybeing an XJ in May 2010. The company also holds royal warrants from Queen Elizabeth II and Prince Charles. The Swallow Sidecar Company was founded in 1922 by two motorcycle enthusiasts, William Lyons and William Walmsley leading to SS Cars Ltd. 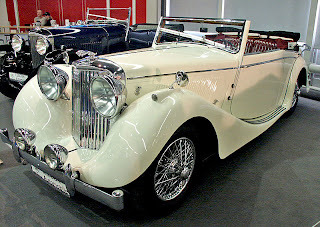 In 1935 the SS Jaguar name first appeared on a 2.5-litre saloon, sports models of which were the SS 90 and SS 100. Cash was short after World War II, and Jaguar sold the plant and premises of Motor Panels, a pressed steel body manufacturing company they had acquired in the late 1930s when growth prospects seemed more secure. The buyer was Rubery Owen. Nevertheless, Jaguar achieved relative commercial success with their early post war models; times were also tough for other Coventry-based auto-makers and the company was able to buy from John Black's Standard Motor Company the plant where Standard had built the six-cylinder engines it had been supplying to Jaguar. Jaguar made its name by producing a series of eye-catching sports cars, such as the XK 120 of 1949, developed into XK 140 and XK 150, and the E Type of 1961. These were all successful and embodied Lyons' mantra of "value for money". They were successful in international motorsport, a path followed in the 1950s to prove the engineering integrity of the company's products. Jaguar's sales slogan for years was "Grace, Space, Pace", a mantra epitomised by the record sales achieved by the MK VII, IX, Mks I and II saloons and later the XJ6. 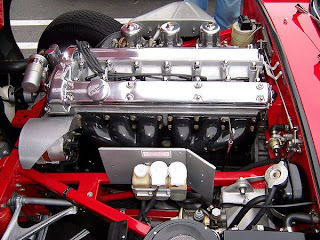 The core of Bill Lyons' success following WWII was the twin-cam straight six engine, a design conceived pre-war and realised while design staff at the Coventry plant were dividing their time between fire-watching (Coventry being a prime target of German bombers) and designing the new power plant. To place this in context, benchmark for pre-war racing and competition engines was the "Double Knocker", or Twin Cam engine. Jaguar's new engine was a hemispherical cross-flow cylinder head with valves inclined from the vertical; originally at 30 degrees (inlet) and 45 degrees (exhaust) and later standardised to 45 degrees for both inlet and exhaust. The main designer, William "Bill" Heynes, assisted by Walter "Wally" Hassan, was determined to design the Twin OHC unit. Bill Lyons agreed over misgivings from Hassan. It was risky to take what had previously been considered a racing or low-volume and cantankerous engine needing constant fettling and applying it to reasonable volume production saloon cars. In spite of such a performance orientation, it was always Lyons' intention to build the business by producing world-class sporting saloons in larger numbers than the sports car market could support. Jaguar secured financial stability and a reputation for excellence with a series of elegantly styled luxury saloons that included the 3 litre & 3½ litre cars, the Mark VII, VIII, and IX, the compact Mark I and 2, and the XJ6 and XJ12. All were deemed very good values, with comfortable rides, good handling, high performance, and great style. 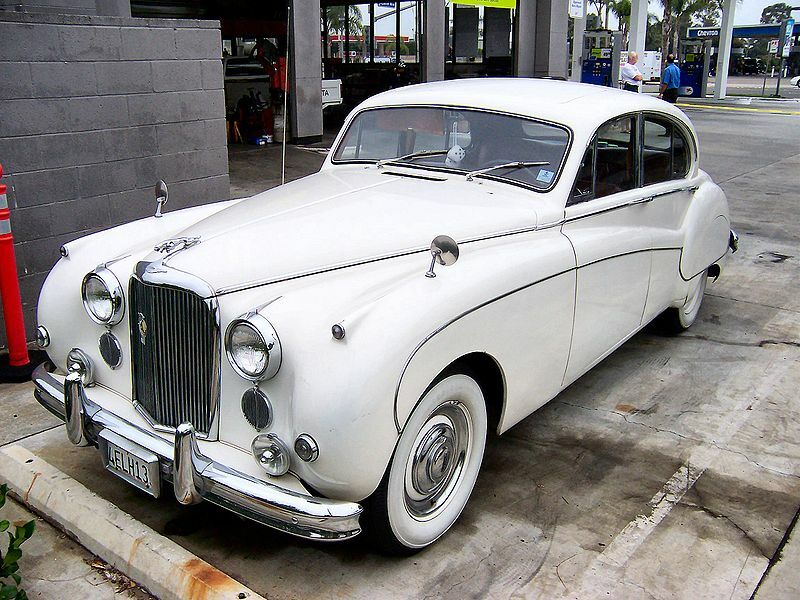 In 1951, Jaguar leased Browns Lane from The Daimler Company Limited, which quickly became its principal plant. 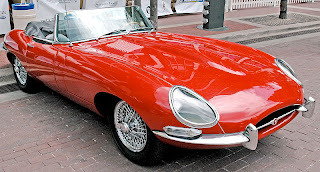 Jaguar purchased Daimler—not to be confused with Daimler-Benz or Daimler AG—in 1960 from BSA. 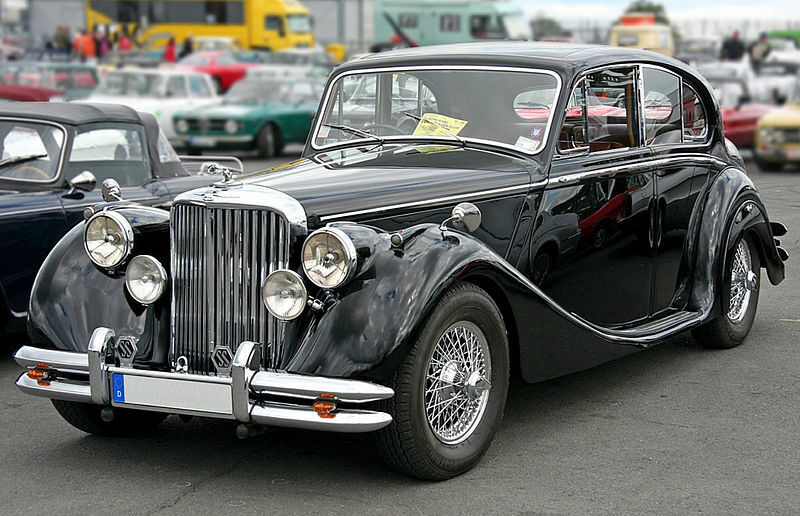 From the late 1960s, Jaguar used the Daimler marque as a brand name for their most luxurious saloons. Pressed Steel Company Limited made all Jaguar's (monocoque) bodies leaving provision and installation of the mechanicals to Jaguar. In mid-1965 British Motor Corporation (BMC), the Austin-Morris combine, bought Pressed Steel. 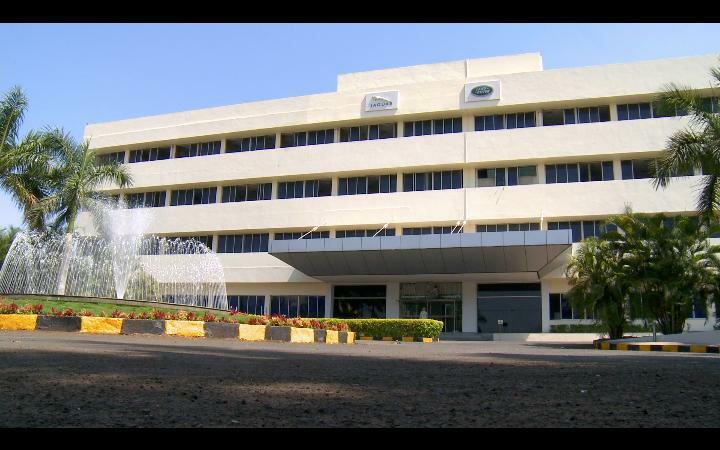 Alarmed by Jaguar's relegation to the position of non-preferred customer by the maker of the largest part of its product Sir William Lyons elected to not fight BMC's offer to buy Jaguar and BMC took control in September 1966. In view of these significant acquisitions, Pressed Steel and Jaguar, BMC changed its name to British Motor Holdings at the end of 1966. BMH was pushed by the government to marry up with relatively well-managed prosperous Leyland Motor Corporation Limited, manufacturer of Leyland bus and truck, Standard-Triumph and, since 1967, Rover vehicles. The result was British Leyland, a new holding company which appeared in 1968, but the combination was not a success. The continuing management and financial difficulties of, especially, the Austin-Morris division (previously BMC) led to the Ryder Report and to effective nationalisation in 1975. In July 1984, Jaguar was floated off as a separate company on the stock market – one of the Thatcher government's many privatisations – to create its own track record and find (new supplies or, the government's preference,) a new supplier of capital —which turned out to be Ford. Installed as chairman in 1980, Sir John Egan was hailed as an industrial superman for Jaguar's unprecedented prosperity immediately after privatisation. In early 1986 Egan reported he had tackled 1. poor quality control, 2. lagging delivery schedules, 3. poor productivity, and laid off about 1/3 of the company's 10,000 employees to cut costs. Commentators have since pointed out he exploited an elderly model range on which all development costs had been written off and raised prices as well as intensifying the push to improve Jaguar's quality. In USA the price rises were masked by a favourable exchange rate until after the mid-eighties but the need for new models and the 1987 stock market crash brought it all to an end. Ford made offers to Jaguar's US and UK shareholders to buy their shares in November 1989; Jaguar's listing on the London Stock Exchange was removed on 28 February 1990. In 1999 it became part of Ford's new Premier Automotive Group along with Aston Martin, Volvo Cars and, from 2000,Land Rover. Aston Martin was subsequently sold off in 2007. Under Ford's ownership it never made a profit. On 11 June 2007, Ford announced that it planned to sell Jaguar, along with Land Rover and retained the services of Goldman Sachs, Morgan Stanleyand HSBC to advise it on the deal. The sale was initially expected to be announced by September 2007, but was delayed until March 2008. Private equity firms such as Alchemy Partners of the UK, TPG Capital, Ripplewood Holdings (which hired former Ford Europe executive Sir Nick Scheele to head its bid), Cerberus Capital Management and One Equity Partners (owned by JP Morgan Chase and managed by former Ford executive Jacques Nasser) of the US, Tata Motors of India and a consortium comprising Mahindra and Mahindra (an automobile manufacturer from India) and Apollo Management all initially expressed interest in purchasing the marques from the Ford Motor Company. The Swallow Sidecar company (SSC) was originally located in Blackpool but moved to Holbrook Lane, Coventry in 1928 when demand for the Austin Swallow became too great for the factory's capacity. In 1951, having outgrown the original Coventry site they moved to Browns Lane, which had been a wartime "shadow factory" run by The Daimler Company. Today, Jaguars are assembled at Castle Bromwich in Birmingham. The historic Browns Lane plant ceased trim and final operations in 2005, the X350 XJ having already moved to Castle Bromwich two years prior, leaving the XK and S-Typeproduction to Castle Bromwich and the X-Type at Halewood (now ended), alongside the new Land Rover Freelander 2, from 2007. A reduced Browns Lane site operates today, producing veneers for Jaguar Land Rover and others, as well as some engineering facilities. 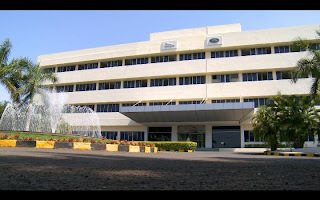 A new assembly plant was opened at Pune, India in April 2011. The 5-litre V8 engine in the XJ Supersport can accelerate the car from 0–60 mph (0–97 km/h) in 4.7 seconds, and has a UK CO2 emission rating of 289 g/km. To cater to the limousine market, all XJ models are offered with a longer wheelbase (LWB) as an option, which increases the rear legroom. 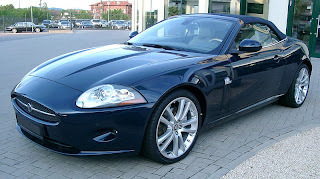 The Jaguar XK is a luxury grand tourer introduced in 2006, where it replaced the XK8 launched in 1996. The XK introduced an aluminium monocoque bodyshell, and is available both as a two-door coupé and two-door cabriolet/convertible. 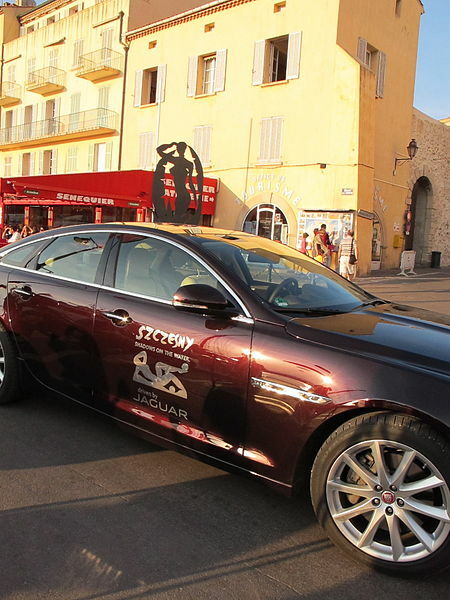 Jaguar began producing R models in 1995 with the introduction of the first XJR. Powered by a supercharged 6-cylinder engine, the car produced approximately 322 horsepower. With the revamped line of engines, the powerplant would be based on an eight-cylinder engine with supercharger from 1997 to present. The 1997–2003 XJR produced 370 horsepower (276 kW) and 522 Nm (385 lbft) of torque, taking the car to 60 mph (97 km/h) in 5 seconds. 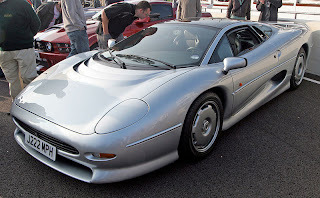 The new aluminium bodyshell from 2004 to 2009 and increased power to 400 hp (298 kW) and enhanced computer systems decreased the time to 60 mph (97 km/h) to 4.8 seconds. Starting after year 2000, XJRs were equipped with Jaguar's CATS (Computer Active Technology Suspension), which helped firm up the ride in sporty driving without compromising comfort during day-to-day use. 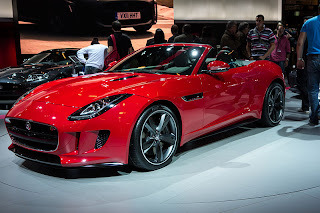 After years of speculation, Jaguar designer Ian Callum confirmed in early 2012 that there would not be a Jaguar SUV, but suggested that he may be designing a crossover for Jaguar. 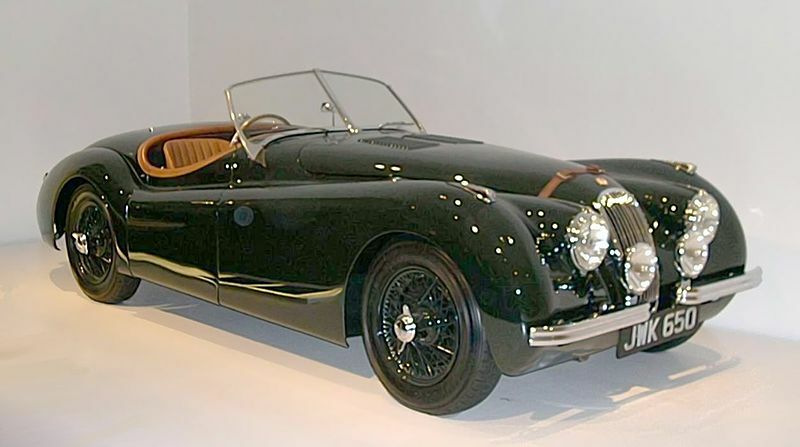 The big breakthrough was the launch in 1948 of the XK120 sports car, powered with the new XK twinoverhead camshaft (DOHC) 3.5-litre hemi-head six-cylinder engine designed by William Heynes, Walter Hassan and Claude Baily. This engine had been designed at night during the war when they would be on fire watch in the factory. After several attempts a final design was achieved. That is until owner William Lyons said "make it quieter". 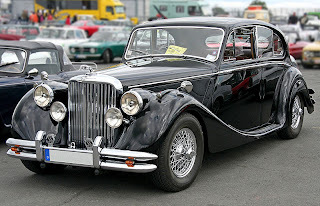 The car had originally been intended as a short production model of about 200 vehicles as a test bed for the new engine until its intended home, the new Mark VII saloon, was ready. The XK120's exceptional reception was followed in 1954 by the introduction of the derivative XK140, and a much revised XK150. 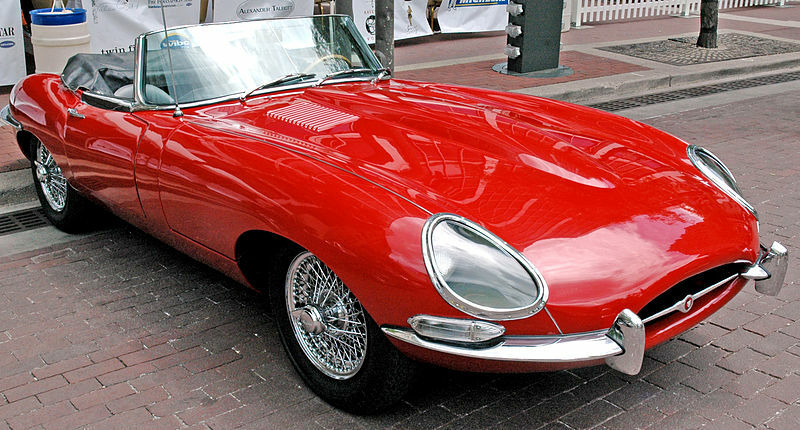 Jaguar launched E-Type in 1961. 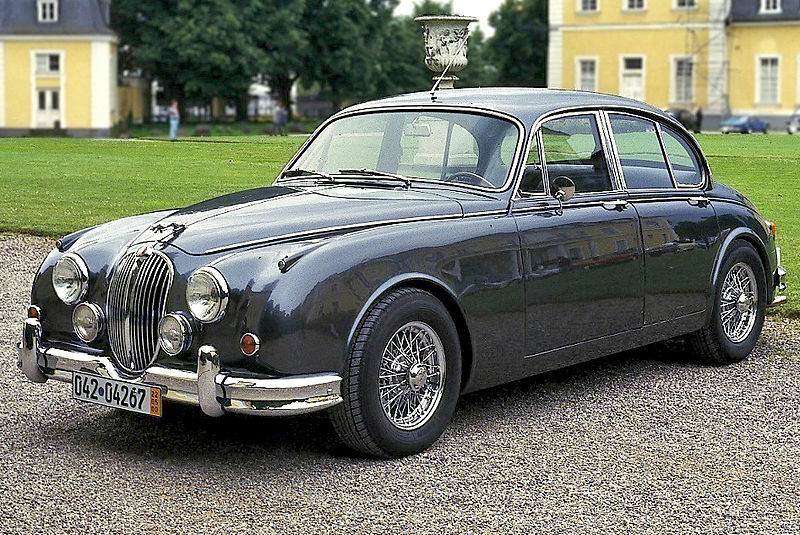 Jaguar's motto of "Grace, Space, Pace"
Of the more recent saloons, the most significant is the XJ (1968–1992). From 1968 on, the Series I XJ saw minor changes, first in 1973 (to Series II), 1979 (Series III), a complete redesign for 1986/1987 in XJ40, further modifications in 1995 (X300), in 1997 with V8-power (X308), and a major advance in 2003 with an industry-first aluminium monocoque-chassis (X350). The most luxurious XJ models carried either the Vanden Plas(US) or Daimler (rest of world) nameplates. In 1972, the 12-cylinder engine was introduced in the XJ, while simultaneously being offered in the E Type. Over the years many Jaguar models have sported the famous chrome plated Leaping Jaguar, traditionally forming part of the radiator cap. Known as "The Leaper" this iconic mascot has been the subject of controversy in recent times when banned for safety reasons from cars supplied to Europe whilst it continued to be fitted on cars destined for the United States, Middle East and Far East. It has now been dropped from all the latest Jaguar models. The company has had major success in sports car racing, particularly in the Le Mans 24 Hours. Victories came in 1951 and 1953 with the C-Type, then in 1955, 1956 and 1957 with the D-Type. The manager of the racing team during this period, Lofty England, later became CEO of Jaguar in the early 1970s. Although the prototype XJ13 was built in the mid-1960s it was never raced, and the famous race was then left for many years, until in the mid-1980s when Tom Walkinshaw's TWR team started designing and preparing Jaguar V12-engined Group C cars for World Sports Prototype Championshipraces. The team started winning regularly from 1987, and with increased factory backing the team won Le Mans in 1988 and 1990. In the 1999, Ford decided that Jaguar would be the corporation's Formula One entry. Ford bought out the Stewart Grand Prix team and rebranded it as Jaguar Racing for the 2000 season. 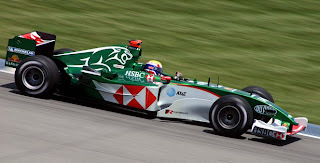 The Jaguar F1 program was not a success however, achieving only two podium finishes in five seasons of competition between 2000 and 2004. At the end of 2004, with costs mounting and Ford's profits dwindling, the F1 team was seen as an unneeded expense and was sold to Red Bull energy drinks owner Dietrich Mateschitz, and it became Red Bull Racing. Since 2004 Jaguar has not had an official presence in motorsport. Lotus Cars joined Jaguar, MIRA Ltd and Caparo on a luxury hybrid executive sedan project called "Limo-Green"—funded by the UK Government Technology Strategy Board. The vehicle will be a series plug-in hybrid. Last updated on 5 September 2013 at 07:24.